Best Furniture Finds for 2012 | Bringing together stories, rooms, life. What were the best furniture finds of 2012? 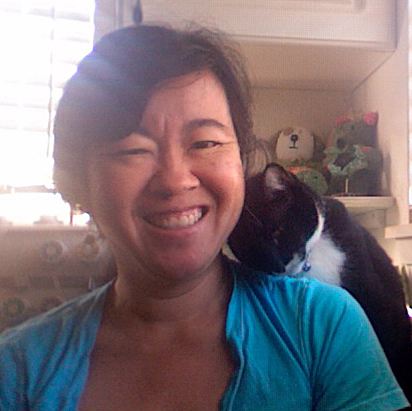 We asked our HomeWorld Division Manager and Furniture Buyer Daphne Oliveros to highlight a few. Here are her choices. Maybe one of these are a favorite of yours. If comfort had an image, it would be this plush dual reclining sofa. Classic casual large arms provide added support and comfort for relaxing. Ideal for family movie night or just everyday lounging. Both ends have maximum synchronization and positive locking mechanisms when reclining. Also available as a power reclining sofa. This is the second year that the Pietro 100% Italian leather collection by Natuzzi Editions is on our Best Furniture Find list! Why? Maybe it’s because the Pietro is the best-selling collection at our HomeWorld Honolulu store. This very popular living room collection offers amazing comfort with its deep seating and high back design. Completely covered in 100% luxurious white Italian leather, the style is chic and contemporary. Collection includes sofa, loveseat, chair, and ottoman. I’ve talked about this sectional in previous posts because it happens to be a favorite of mine. Sectionals are so versatile! They come in different shapes (large or small) so it’s easy to find one that can fit even the smallest of rooms. 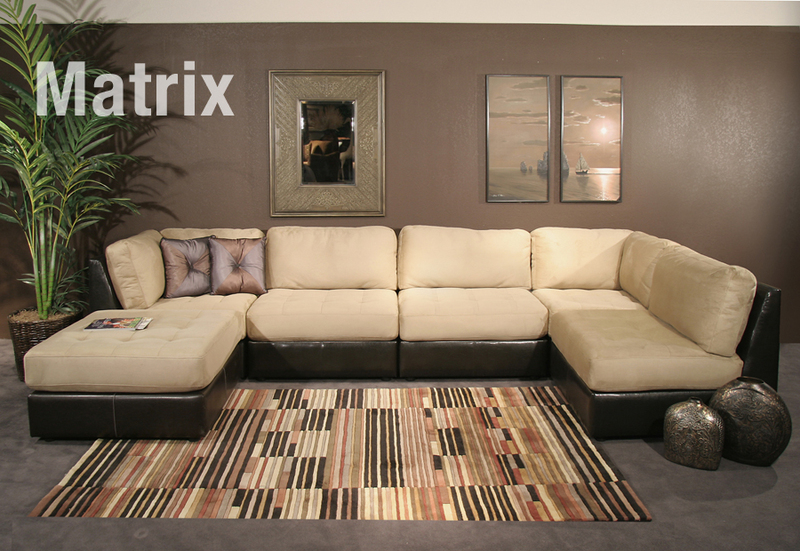 A well-designed modular sectional, such as the Matrix can be configured in so many random ways. It’s always fun to see how many ways you can configure all the seating you have. It’s the perfect place to kick up your feet for watching TV or even taking an afternoon nap. If you love dark wood and details, you’ll love this exotic Leaf bedroom collection. Solid mahogany panels are adorned with hand-carved banana leaves for a look that unique and inspiring. The drawers have hidden drawer pulls, dovetail construction, and a Euro glide system for ease of use. The bed is available with the headboard and footboard alone, or with a canopy that is beautiful either dressed up with your favorite fabric or unadorned. Hand-rubbed with a cocoa finish. The Piazza collection is an urban contemporary bedroom that features simple, cleanlines to create a stunning retreat for your home. Made with tropical mahogany solids and birch veneers in a chocolate brown finish, the Piazza is perfectly sized for your apartment or condo. Dressers feature English dovetail drawer construction for durability and function with felt-lined top drawers for luxurious look that is affordable. Artfully crafted, the Urban Craftsmen collection encompasses two rooms: dining and bedroom. This Shaker-inspired collection is superbly crafted with solid mango in an amber finish a rich golden stain. Purposely distressed finish creates an aged, one-of-a-kind look that is unique and beautiful. It’s the natural characteristics that complete the look of this distinctive collection. 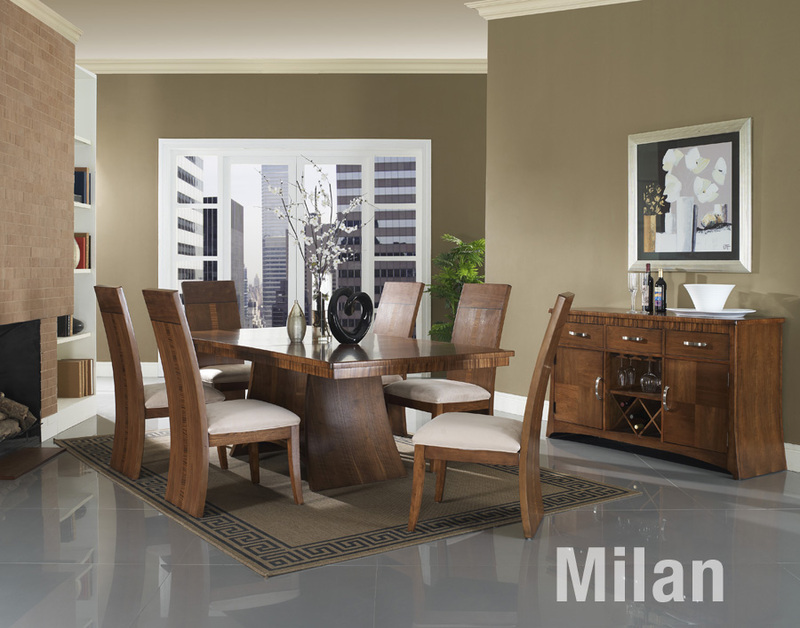 If you are looking for something truly artsy and modern, the Milan Collection doesn’t disappoint. Inspired by architectural shapes such as arched bridges, colonnades, and buttresses, this rich walnut veneer collection has a Zebrano* border that is distinctive and captivating. That’s our best furniture finds for 2012. Here’s wishing you and your family the very best this holiday season! This entry was posted on December 28, 2012 by C. S. Wo & Sons, Ltd. in Furniture and tagged 2012 best of the year, Armen Living, bedroom, best, choices, Cole, Corallo, dark wood, dining, double reclining sofa, furniture, furniture choices, furniture finds, Futura, GuildCraft, hand-carved, Hawaii, HomeWorld, Leaf Bedroom, leather sofa, list, Matrix sectional, Milan, Natuzzi Editions, Piazza, Pietro, reclining sofa, sectional, sofa, Somerton, Urban Craftsmen, Zebrano.